Backup is an operation that allows you to store data, applications, the entire machine and even your VPS website. 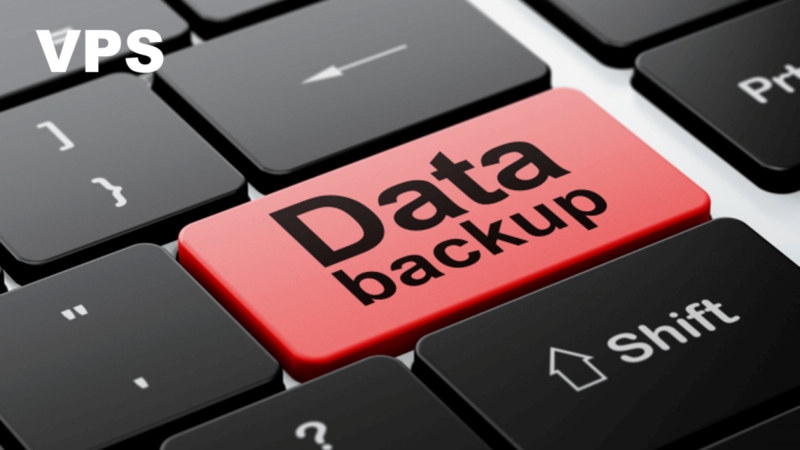 Backup is necessary when storing data and files on your website to ensure they are available in case of anything. This allows you to restore, redeploy and access data at the event of machine, system or data loss. Restoring from backups may result to downtime but it allows you to start from a recent point. This is different from redundancy which does not avail a perfect copy when one set of data becomes available. Choosing an effective backup for VPS depends on what you need to backup. This is because different cases need different solutions. There are several methods and levels of data backup layered for different problems. This form of backing up utilizes the normal file system level copying tools to transfer files to another location or device. It utilizes the CP command which simply copies files from one location to another. A removable drive can be mounted on the local computer to copy the files. Rsync is a better alternative to CP which allows you to perform local backups with greater flexibility. The backup drive has to be attached, detached and physically transported elsewhere. Rsync can perform remote and local backups easily. It only requires an alternative syntax that can work on any host as long as rsync is installed on both ends. The downside of these solutions is that you need to script the utilities and write the necessary code to automate the backups. Bacula method separates the ideas for clients, backup locations and directors. Each backup task is configured into a unit called Job. It is a complex, granular and a flexible solution that leverages the client server model to backup hosts. This allows you to backup multiple clients to one storage device, one client to multiple storage devices and modify the backup scheme easily. This makes it a great backup for VPS or any application across many machines. BackupPC is another popular solution installed into a machine or VPS to act as a backup server. It draws data from its clients using regular file transfer methods after you provide backup server SSH access. This strategy allows all relevant packages to be installed on one centralized machine. Duplicity method utilizes GPG encryption to transfer and store data. Data is stored in plain text with a high level of security. Data decryption can only be done by GPG key owner. GPG verifies each transaction for accuracy while strictly ensuring no data was lost during the transfer. These are less common but important alternative to file-level backups. This method is commonly referred as imaging since it can duplicate and restore entire devices. Its backup methods allow you to copy deeper than a file. All information is copied bit after bit with no regard to abstract files. These backups are typically faster since they transfer blocks of files. This means you don’t need to initiate many transfers to complete the copying. DD utility is the simplest way of performing block-level backups. They provide a more robust system of backing VPS to be able to restore the previous file versions. They employ additional tools as opposed to the other mechanisms. The manual process involves creating a backup file prior to editing. The process can be automated by creating time-stamped hidden files. Calling the nano command automatically creates backups. It provides a given level of backup but it’s very fragile and can quickly fill up if you create file frequently. A better method involves making use of GIT command. It is found in almost all files but you need to tweak the setup to exclude certain files. These are additional backups that supplement your own backups. Different hosting companies provide a backup function that performs automated backups regularly. They are included in the service package. They allow you to obtain recent files of data in case your hard drive damages, machine theft or internet attacks.